Time is running out on the Mortgage Debt Relief Act – the current extension will expire at the end of 2012. If you’re wondering why we should care – its because this act protects primary residence homeowners who short sale or who are foreclosed on from paying taxes on the forgiven debt. In the current guidelines, if a homeowner is forgiven of debt on their primary residence which is defined as being occupied for 3 out of the last 5 years, the IRS will forgive the income taxes owed on the forgiven debt. If you’re still thinking… ‘What the heck?’… let me explain with an example. Sally the Seller has lost her job and is forced to relocate to secure another job position. She can not continue to make her payments on the home that she’s lived in for 4 years and she owes $250,000. Larry the Listing Agent is able to sell her home as a short sale for $150,000 and Sally’s lender agrees to waive the right to the deficiency balance which is roughly $100,000 (the difference between $250,000 and $150,000 – this example does not include additional costs associated with the short sale paid by the lender). The following year Sally receives a 1099c in the amount of $100,000 from her lender for the amount of the forgiven debt or deficiency balance. When Sally takes her tax documents and 1099c to her CPA, they determine that she does not have to pay income taxes on the $100,000 since she qualifies under the Mortgage Debt Relief Act. An extension to the act has been requested, but many say it will not be extended or it will be reenacted in 2013 since this is an election year – time will tell. For more information on the Mortgage Debt Relief Act, please go to the IRS.gov website. 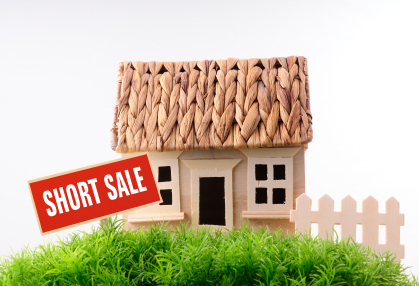 For more information about short sales or to find out if you may qualify, please contact me! © 2019 Arizona Regional Multiple Listing Service, Inc. All rights reserved. All information should be verified by the recipient and none is guaranteed as accurate by ARMLS. The ARMLS logo indicates a property listed by a real estate brokerage other than Yost Realty Group at RE/MAX Casa Grande. Data last updated 2019-04-24T07:11:30.46.